We tend to think of voice-activated virtual personal assistants like Amazon’s Alexa, Google Home and Microsoft Cortana as being for home use. The VDAs have made a splash in living rooms and kitchens around the world, but companies are also starting to realise the benefit for business. Andy Fawcett CTO of FinancialForce has used Alexa and Salesforce APIs to create a solution that lets Alexa integrate with FinancialForce software and perform tasks such as updating project statuses or booking vacation requests. “The potential for businesses of any size to have a digital assistant that can immediately find and report crucial information, as well as slicing and dicing the data according to user commands is incredibly exciting,” Fawcett told Tom’s IT Pro. “Bringing Salesforce and FinancialForce to Amazon Echo makes interacting with complex business software as easy as chatting with your neighbour, partly because all data is pulled from one single source of truth.” This integration is just the beginning as more providers look at ways to embed their software into voice-controlled systems like Alexa. 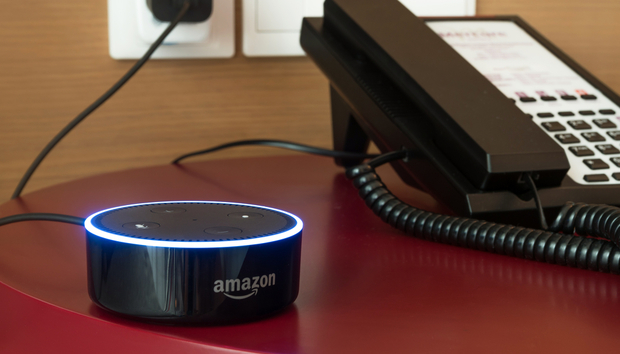 In fact, Harvard Business Review reported that Alexa can already answer economic questions for clients of the Swiss global financial services company, UBS Group AG. According to the Wall Street Journal (WSJ), a new partnership between UBS Wealth Management and Amazon allows some of UBS’s European wealth-management clients to ask Alexa certain financial and economic questions. Alexa will then answer their queries with the information provided by UBS’s chief investment officer without even having to pick up the phone or visit a website. How could VDAs transform businesses?